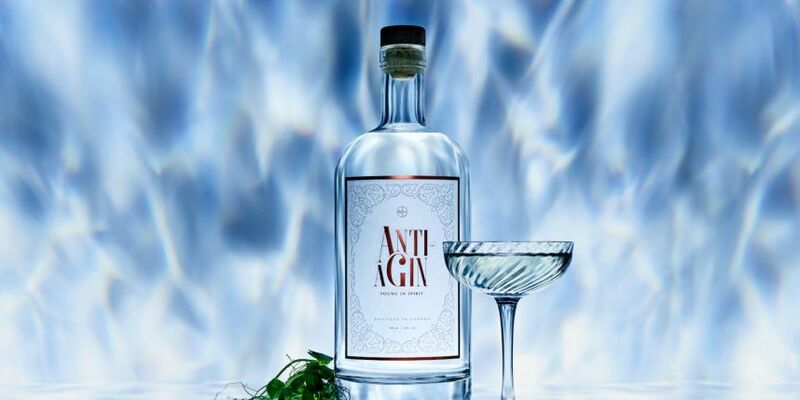 Apparently, there is now one more reason why you should drink up on Saturdays; a gin that is infused with collagen so that it can give you a younger appearance. Happy hour has never been better! Usually when you consume alcohol, the blurred vision easily tricks you into thinking that your skin is smoother and less blemished than it really is. But now, you can drink and actually help to keep your skin looking good, at least according to the manufacturers of Anti-AGin. This drink may just be the game-changer that we have all been waiting for, especially those of us who have a ‘sweet tooth’ for Gin. It looks like now you can enjoy a tasty glass of gin and work on your skin at the same time with zero effort! The suitably named Anti-AGin has undergone unique distillation with an ingestible collagen boost combined with some classic age-reversing botanical extracts. Some of those botanicals are; tea tree, chamomile, witch hazel and Gotu kola combined with old fashioned gin base botanicals of angelica root, coriander, juniper and a finish of cardamom. For a long time now, collagen has been known to be an antiaging powerhouse because it is the protein that keeps the skin firm and thus retaining the youthfulness of your skin. According to scientific research, the skin has a tendency to lose collagen as we get older and this is what leads to the formation of wrinkles and sagging skin. In that case, it does not come as a surprise in Japan where people have been banking on ingestible collagen of late. There, you can find ‘beauty restaurants’ which serve delicacies that contain chunks of collagen. Still in the same country, supermarkets have responded to the need for collagen by providing food that is enriched with collagen. An antiaging specialist from 10 Years Younger, Nicky-Hambleton Jones was part of the team in the creating of this drink. She said that this is definitely the best thing for the individuals who are looking to stay and look younger without having to give up the drinking of alcohol. It gets a bit confusing when you start considering how alcohol itself affects the skin negatively; that is before you include the ‘age-reversing’ ingredients that have been combined in this drink. For example, as some skin specialists note, consumption of alcohol has a significant short term and long term effect on the look of our skin. Apart from leading to the formation of under eye dark circles and bloating, alcohol also has a drying effect on the skin which largely contributed to premature aging and the formation of wrinkles. These are statements that general practitioners agree with so, doesn’t it sound somehow confusing? The only way to know this for sure is by going ahead and having the Ant-AGin drink, perhaps regularly then examine how your skin will do. Sure enough, this is a superb invention that brings the consumption of alcohol to a whole new level and we are all eager to see how things will play out in the near future. What do you think about this drink?